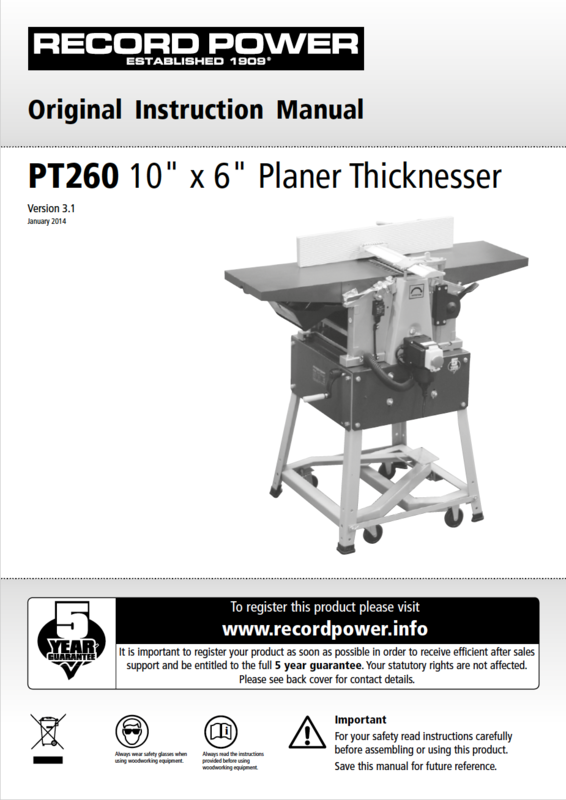 The heart of any planer is the table and bed. 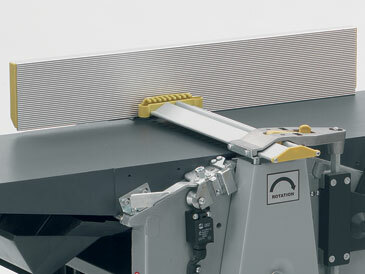 The PT260-X features a cast iron thicknessing bed for strength and rigidity and boasts a 150mm thicknessing capacity. 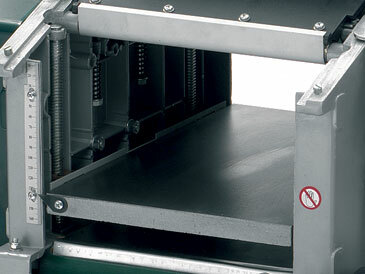 The specially hardened surfacing tables are a generous 1 metre in length and will plane boards up to 260 mm wide. 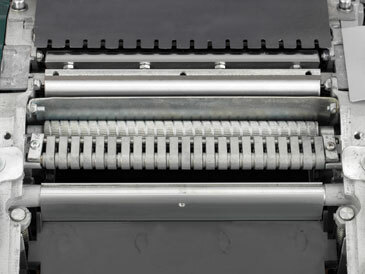 The powerful induction motor enables the machine to remove up to 3mm in a single pass. 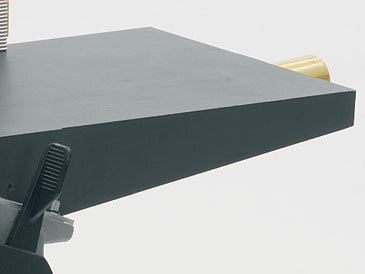 Beware cheap copies - they often use cheaper components (such as aluminium thicknessing tables) and poor quality motors, electrics and switches. We have sold thousands of these machines over many years and have continually upgraded and improved components and features so that we can give it our market leading 5 year guarantee with total confidence. 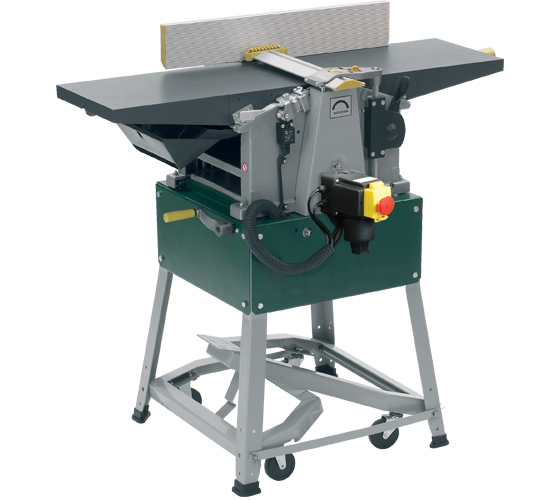 The PT260-X has a 150mm maximum thicknessing capacity and a generous 400 x 260mm working table made of cast iron for solid support. This fits quickly and easily for thicknessing and engages a micro-switch to ensure it is in place before use. 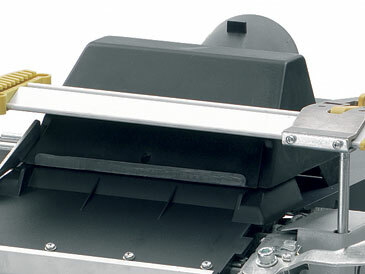 The PT260-X features a 2 knife cutterblock with re-sharpenable, reversible blades. The feed mechanism features noise reduction slots and anti-kickback teeth which prevent the material being thrown back when thicknessing. The fence can tilt from 0-45º on a positive stop to make re-setting an easier task. 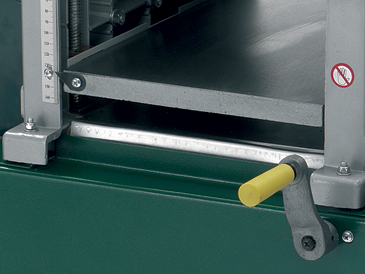 Hardened 1 m long tables are treated to reduce friction, allowing easier movement of stock. 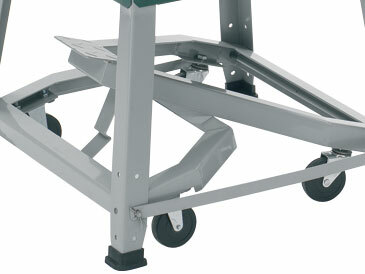 A pedal operated wheel kit is provided as standard allowing the machine to be easily re-positioned in the workshop for cutting long lengths of timber or whenever a change of position is required. 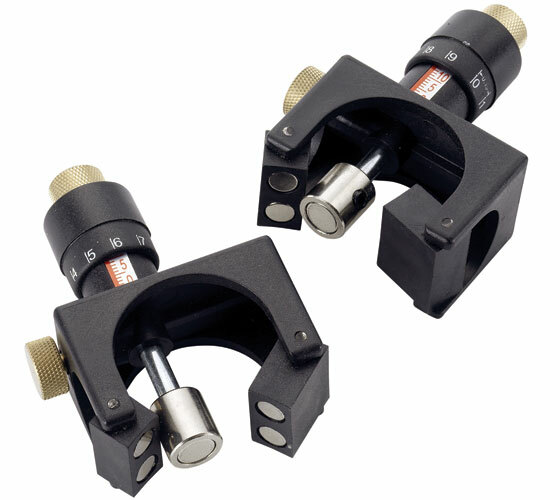 Features a large easy to read scale and adjustment is via four threaded support bars with brass insets operated by a simple handwheel.